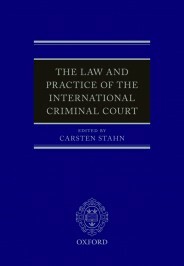 The Rome Statute system is a partnership between the International Criminal Court as an institution and its governing body, the Assembly of States Parties. Both must work together in order to overcome a number of challenges, which fall within three broad themes. First is the issue of credibility. One of the main criticisms following the conclusion of the trial of Thomas Lubanga in 2012 was that after ten years of the Court’s existence it had spent the best part of a billion euros and produced only one first instance verdict. But in the three years following, we can now count three final verdicts (in the cases against Lubanga, Mathieu Ngojolo Chui, and Germain Katanga), a further final decision on reparations in Lubanga’s case, and another judgment from the trial chamber (in the case of the Prosecutor v Jean-Pierre Bemba) due later this year. The ICC has never been busier. In the last month we have seen the arrest of Abu Tourab for crimes against cultural heritage; the Prosecutor extending the ongoing preliminary examination into the situation in Ukraine to cover the period following the Russian annexation of Crimea; and as the Court gets ready to move to its new permanent premises later this month, it will conduct four simultaneous trials for the first time. The Court has made the shift from a fledging court to a mature institution. But there is still work to do. The ICC President Silvia Fernandez de Gurmendi has stated that expediting the trial process is her top priority. Quicker proceedings are central to the Court’s credibility; they are key to any deterrent effect the institution may have, essential to ensure justice for victims, and a vital element of a fair trial. States have a role to play here too. The Court will rise or fall on the full and timely cooperation of States. More States need to become members. There are nowhere near enough States who have entered into witness relocation or sentence enforcement agreements. There continue to be too many fugitives at large. The second challenge facing the ICC is the question of its legitimacy. The Prosecutor continues to face criticism over selection of situations and cases. But there is a ready answer to the complaint that the Court is only investigating and prosecuting African cases; the majority of these situations have arisen from self-referrals or where non-member States such as Cote d’Ivoire (at the time) and Ukraine have accepted the Court’s ad hoc jurisdiction, while two situations were referred to the Prosecutor by the UN Security Council. Only one – Kenya – was proactively initiated by the Prosecutor, and that after the Court ruled that domestic action by the Kenyan authorities was insufficient. Some say the Court’s legitimacy will be established only on the day the Prosecutor opens a non-African situation. That is likely to come soon following the Prosecutor’s request to open an investigation into the situation in Georgia. In addition, the majority of “preliminary examinations”, i.e. the precursors to full investigations, currently underway are not in Africa. It must not be forgotten, as the ICC Prosecutor has said, that the victims of the crimes she is investigating and prosecuting are also African – and number into the tens of thousands. There is also a key role for States in overcoming the questions around the Court’s legitimacy. The Court’s global standing is undoubtedly undermined by the fact that only two of the permanent members of the UN Security Council are members of the Court, yet the Security Council can refer situations to the Prosecutor, with no effective follow-up. As we saw in the case of Syria, members of the Security Council can veto a referral even where horrific crimes are taking place. The only answer is that every State in the world must become a member of the ICC. The third theme focusses on ensuring realistic expectations for the Court. As Carsten Stahn says, the ICC is a “persistent object of faith”. Expectations are unrealistically high, and this will inevitably lead to disappointment. It is easy to find scapegoats: whether they be the UN Security Council that does not follow up on its referrals with money or coercion, or States Parties that refuse to pay its contributions on demand or question budgets. But the ICC, a judicial institution, inhabits a world of realpolitik — a world where ISIL exists, and where Great Powers act where and when they can to protect their interests. This is a harsh environment for the delicate plant of international justice. But it is also a world where the demand and need for accountability has never been greater. So the challenges are immense. That said, the ICC is clearly here to stay. We should consider ourselves lucky that States were able to agree a treaty at the Rome Conference in 1998. Perhaps it would not be possible today. The Court’s current challenges are just that. They are immediate difficulties – whether financial or arising from the Court’s work – within the context of a much bigger and longer historical perspective. Featured Image: ICC Construction, November 2014. Photo by Roman Boed. CC BY 2.0 via Flickr. Iain Macleod is the Legal Adviser of the UK Foreign and Commonwealth Office. Shehzad Charania is the Legal Adviser of the British Embassy to the Netherlands. I searched this article in vain for the mention of Palestine. The ICC is currently involved with preliminary investigation of the situation in Palestine, and this at the behest of Palestinians leaders not just in Fatah and the PA/PLO but also Hamas. By becoming an Observer State in the UN in 2012, Palestine acceded to the Rome Statute becoming the 123rd member of the Rome Statute. It seems to be a very large oversight that Ian did not include this important information in this article. If the ICC continues not to investigate and prosecute senior US officials for the very very very long list of war crimes and crimes against humanity it has committed with utter impunity since the court was created, it is a fraud and should be disbanded at once. Only then can a legitimate body be created in its place.